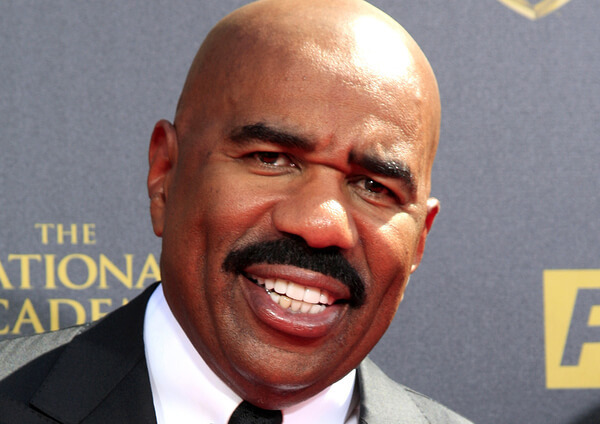 Steve Harvey has a lot to teach the world about working at what you love. He knows even more about what it takes to do it. If you don’t know Steve Harvey he’s a stand up comedian, turned actor, turned radio host, turned day-time TV show host, turned author. What you may not know is how passionate he is about inspiring people like you to follow your bliss. Or why Harvey thinks you need to quit your j-o-b in order to do it. Or the one thing he says you should definitely count on happening once you do. Now that you’re all pumped up to, in Harvey’s words, “live in your gift…” I have some really bad news for some of you. If you watched the video then you know Harvey says that once you jump, your parachute probably won’t open. In fact, he says you can count on getting pretty banged up and bloodied along the way. But that’s okay… because, like Harvey says, you’ll live through it. For Harvey, surviving the jump comes down to faith in God. But getting to live your gift jumping is about something else too. Something contained in Harvey’s own backstory. He grew up in West Virginia, the youngest of five children. His dad was a coal miner who would later die of black lung disease. After college Harvey tried different paths. He sold insurance, delivered mail, cleaned carpets, even took a shot at becoming a professional boxer before finally finding his calling in comedy. So Harvey jumped into the highly competitive world of standup comedy. And just like he said, his parachute didn’t open. In fact, Harvey was homeless – for a very long time. After a divorce he was sending most of his meager nightclub earnings back home to support his two kids. Things were so tight that when a couple of gigs fell through Harvey suddenly found himself forced to live out of his 1976 Ford Tempo. And turn it around he did. But not right away. Harvey continued to try to make it as a standup, all the while being homeless. His big break came when he got the gig hosting Showtime at the Apollo. From there he worked in a number of films before going on to star in a show that ran on the WB network from 1996 to 2002. Harvey still hosts the weekday-morning radio show he began in 2000. 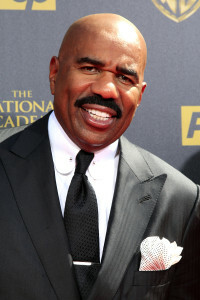 When he’s not being the newest face of the long-running TV gameshow Family Feud – a show that’s seen a ratings surge – Harvey is busy hosting his own day-time talk show. 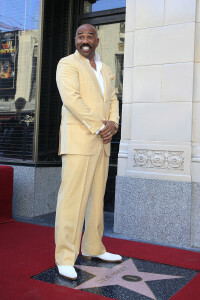 Along the way, he’s racked up a pair of Emmy’s and scores of NAACP awards. And if that weren’t enough, Harvey also wrote a best-selling dating advice book for women. Clearly the man is a multi-talented go-getter whose faith has served him well. At the same time though, Harvey was rewarded for that faith by being willing to make the sacrifices required to live in his gift. He did it first by putting the welfare of his children above his own. He did it again when he doggedly pursued his calling despite homelessness… a situation he endured for three long years. Compare Harvey’s sacrifice with that required of another man with a dream. “Joe” tells me he hates his job, knows he has gifts and interests, but doesn’t know how to make money doing. Joe said he really wanted to be a part of my recent weekend long Work @ What You Love virtual workshop – but he couldn’t. The workshop sold out and if the evaluations are any indication… lives were changed that weekend. Sadly, Joe’s life was not one of them. You don’t need to spend a single day living out of your car. But are you willing to get up an hour earlier or stay up an hour later to go after your dream? Are you willing to put down the remote control and take one small step each day to take control of your life? If not, then I suggest you do as I told Joe: Stick with your j-o-b. What about you? Do you truly want to experience the joy of being able to “live in your gift”? If so, then I invite you to learn from Steve Harvey’s inspiring example… and jump. 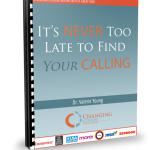 To help you make a safe landing, I created a planning guide designed to help you LOOK before you leap. 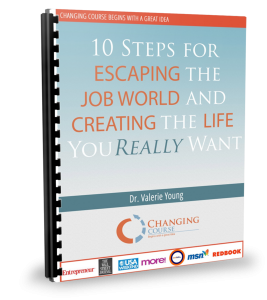 It’s called the 10 Steps to Escape the Job World and Create the Life You Really Want Personal Planning Guide.